parkrun to marathon in the space of a year! "I had completed c25k before I had kids, so knew I could run 5km if I put my mind to it! So I got down to my local parkrun and just went for it! It was a challenge, I was slow, but I went for it and made it all the way around! I don't think I would have done it if it hadn't been for the other people there spurring me on. In the space of a year, I've gone from trying my first parkrun to being three weeks away from running the London Marathon! Everyone at Bournemouth parkrun is so friendly. It's lovely to feel part of something so meaningful for my local community. I was in a coffee shop last week and I saw a familiar parkrun face - "oh, I saw you at parkrun last week!" I don't think I would have continued a weekly running habit if it hadn't been for parkrun. I've volunteered a few times. It's such a good opportunity for local communities. There's a tail walker too - no one comes last! You can walk parkrun. I know a few people who've started out walking and then at their own pace, warmed up to jogging. 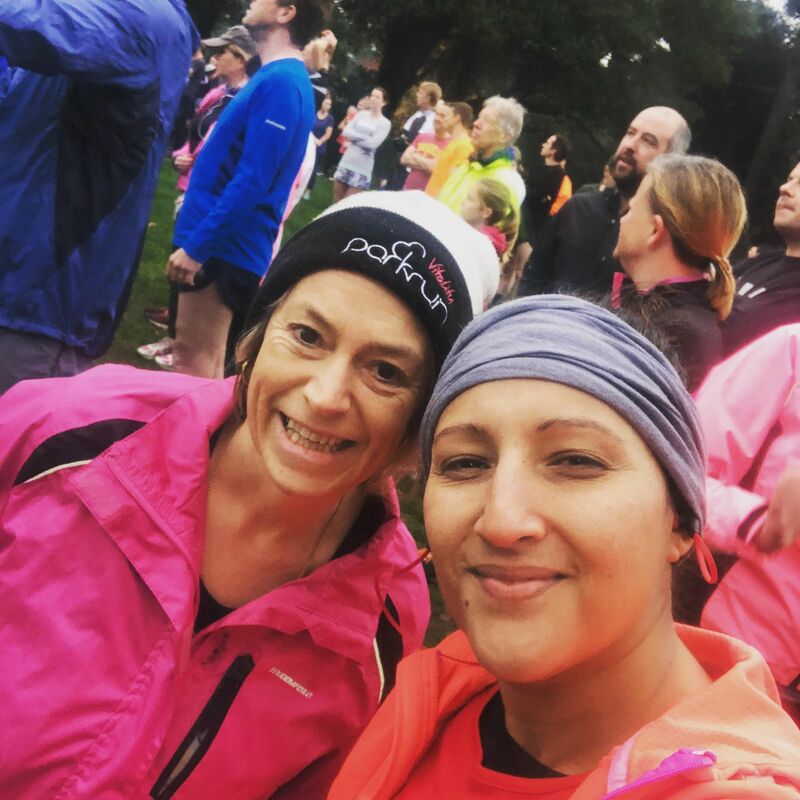 "Having the weekly routine of parkrun is important for my mental health." "At the start of my eldest's first summer holidays, the thought of six weeks' occupying my kids full time was daunting. I needed something to focus on, something that would give me a bit of 'me time'. This was the first thing I had done for myself in a long time. I started running to look after my mental health and certainly wouldn’t have carried on each week without parkrun each week! I LOVE IT!! I turn 40 this year! "Much of my thirties has been focused on other people. Doing something for myself felt good. Running gave me routine and focus. Soon, I found myself signing up for the Bournemouth 10k. And then the Great South Run. I put a training plan in place for these. The structure gave me head space and routine through the summer holidays. "What's next?" I asked myself close to Christmas. That's when I saw an advert for Help and Care's charity marathon places and thought I might just have a go! Before I knew it, I'd applied was granted a place and I was on track to run my first marathon! I love that I'm supporting a local charity that's close to my heart - it just feels right. Help and Care change peoples lives. That's something I've been able to do for myself through running. I'm a Slimming World consultant too, so I have the pleasure of being a part of changing peoples lives every day! 28th of April is the date! I'm feeling excited! Last weekend, I ran to parkrun, completed parkrun, ran along the beach with a friend and then kept going further until I'd completed a 20-mile training run. Thinking back to life a year ago - it sounds ridiculous! But I'm so ready for the marathon now - let's do it!" Do you want to try parkrun? Find your nearest using our Activity Finder. Join us on the 4th of May, as we use the force. You can cheer Kirstie on by supporting Help and Care.